As a teenager I never suffered with acne at all. 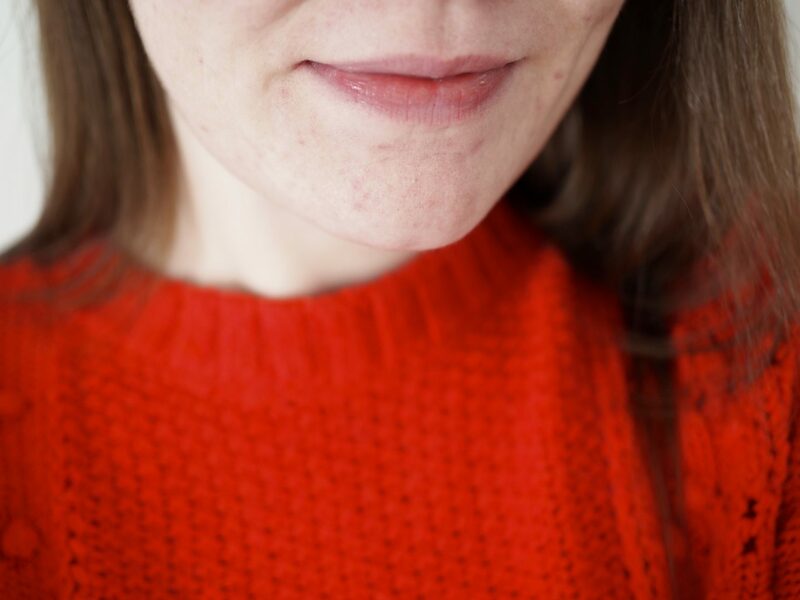 It wasn’t until after I had my second child that my skin started getting worse and worse. It became very oily and I started getting painful cystic spots. I’ve tried a lot of different products over the years and have even tried medication, but nothing seems to help long-term. 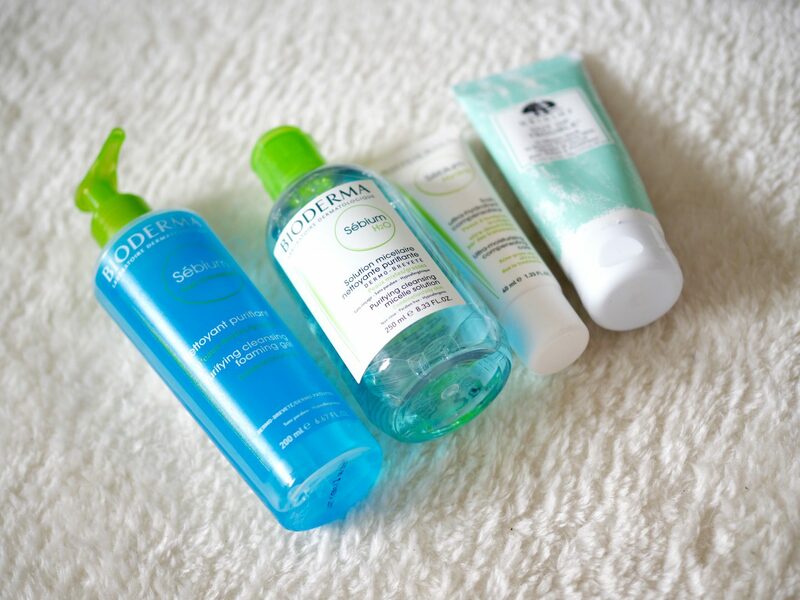 Over the past few weeks I have introduced a new skincare routine that is working really well for me. So I thought I would share it here incase it helps anyone else out with their problem skin. Although I don’t know if my skin will stay as it currently is, I really do feel like I’ve turned a corner. Finally! The below images are how my skin typically looked before I changed my skincare routine. As you can see there are some big angry cystic spots as well as a lot of scarring. It was a nightmare to try to cover and I was using a full coverage foundation that was actually just making things worse. This is what my skin currently looks like and I am so pleased with it. There’s still a lot of scarring but I hope that will fade over time. I do still get the occasional spot but they are small ones that don’t stick around for long. I haven’t had a cystic spot for at least two months and honestly, it feels amazing. 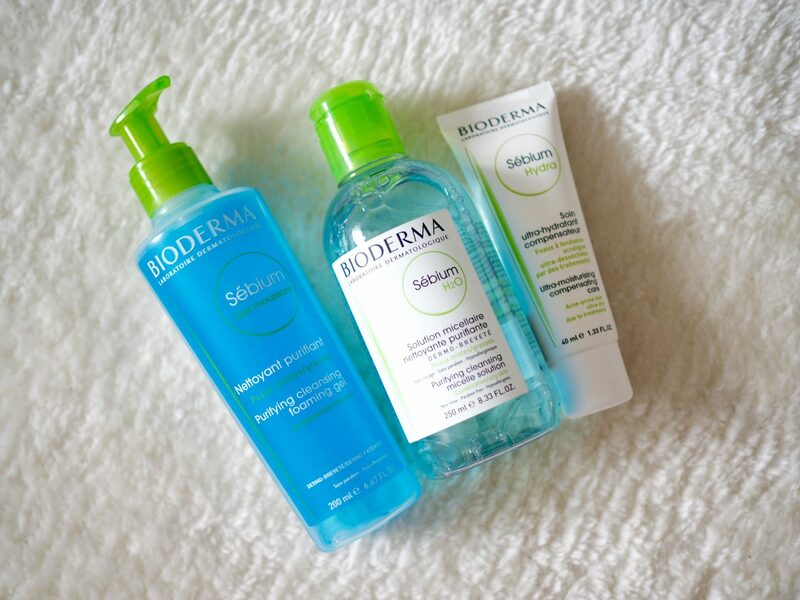 I had been talking a lot about my skin problems over on Instagram and Bioderma got in touch with some fantastic advice. They also offered to send me some products from their Sebium range. I thought it was worth a try but honestly never expected them to work as well as they have for me. 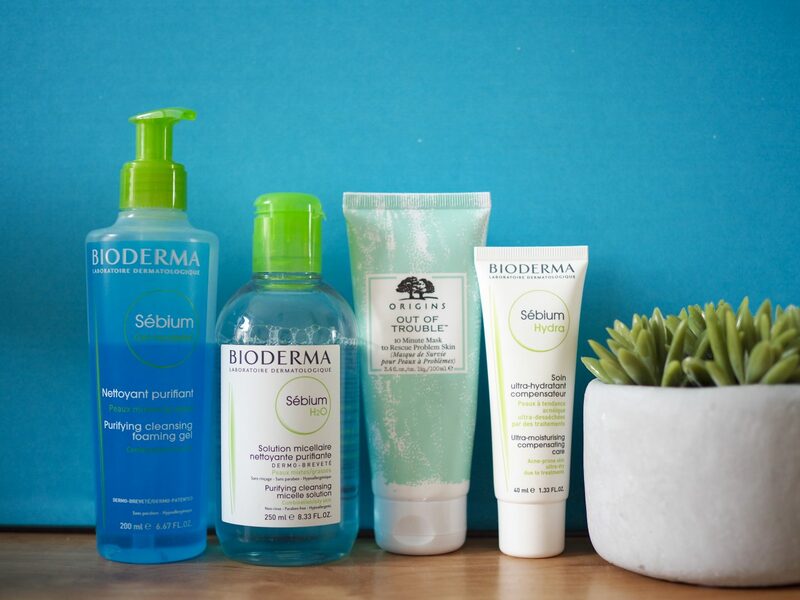 The Bioderma Sebium range offers a new generation of anti-blemish treatments that directly act on sebum quality thanks to the Fluidactiv™ patented complex found in all of the range’s products. In an evening I start by removing my mascara with a face wipe. I know people say that face wipes are bad for your skin but I don’t have any problems with using them just around my eye area. I used the Primark cleansing wipes for sensitive skin and they have always worked brilliantly for me. 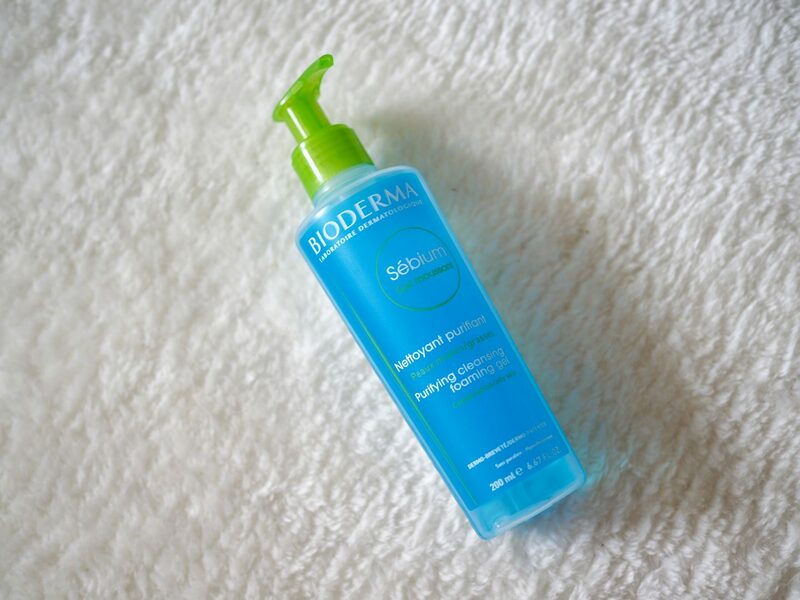 I then use the Bioderma Sebium purifying cleansing foaming gel to remove the rest of my makeup. It does a great job of removing my makeup and leaves my skin feeling clean but not dried out like a lot of other products do. 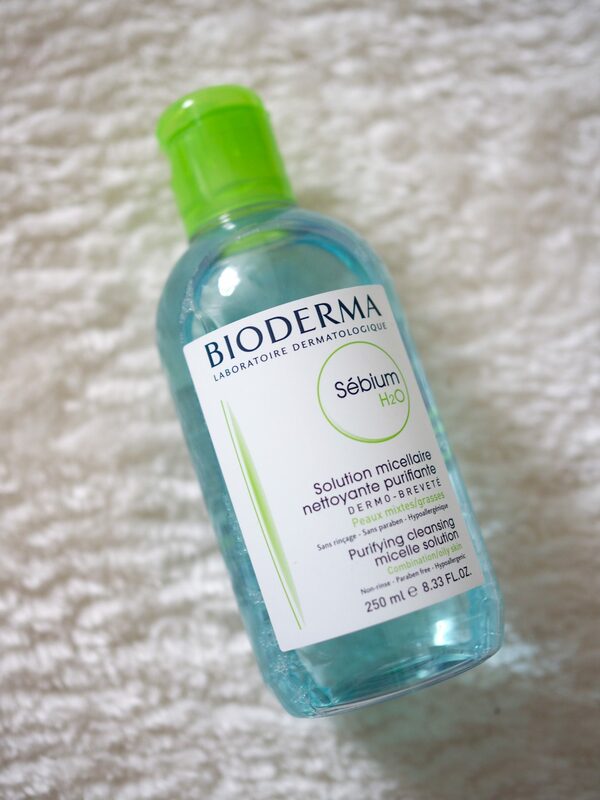 Next, I use Bioderma Sebium H2O purifying cleansing micelle solution. I soak a cotton pad with this and sweep it over my skin, it helps to remove any last remnants of makeup that might still be on the skin. I then use the Sebium Hydra ultra-moisturising compensating care moisturiser. This is a moisturiser that is specifically designed to help re hydrate skin that has been dried out by acne treatments and medication. I am not currently on any medication for my skin but it does get incredibly dry during winter so I was interested to try this product out. 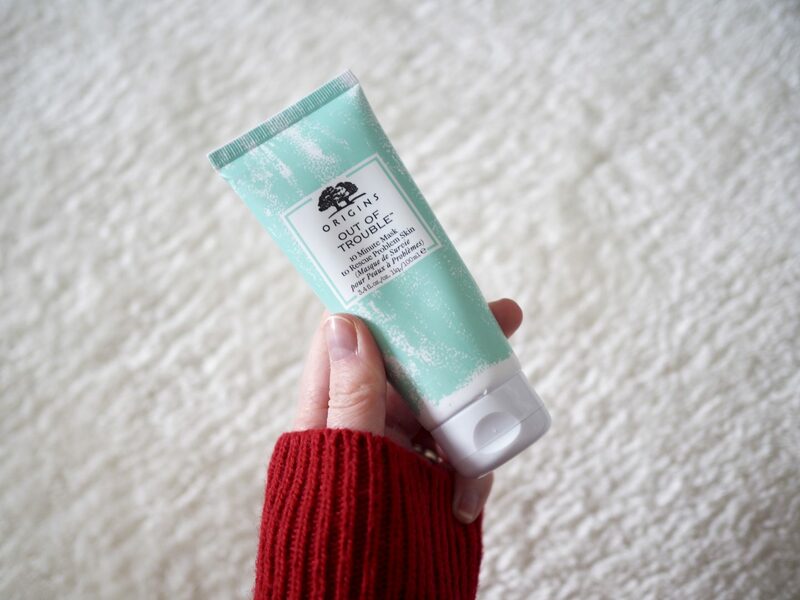 It is a very rich moisturiser and at first I wasn’t sure if I liked it, but literally from the first use my dry skin was gone. It is a fantastic product and has become my favourite from the Sebium range. Finally I have been using the Origins Out of Trouble mask after hearing lots of good things about it. I started using it every night on my chin, which is my problem area and on my whole face once a week. Now that my skin has improved I’ve cut down to using it just once or twice a week. It’s a fantastic product that leaves my skin looking clearer and feeling soft. If I feel a new spot coming up this face mask helps to settle it down straight away. In the morning my routine is pretty much the same apart from I don’t use face wipes or the Origins face mask. The rest of the products I use twice a day. I am over the moon with how my skin looks at the moment and now it’s just a case of hoping that the scarring that I’ve been left with fades over time. If you have any recommendations for products that are designed to help with scarring do let me know.